Brunswick County is continuing to grow and with this growth comes more and more local businesses and new locations. Brunswick County residents, of course, love the two bordering counties that provide some of the best restaurants, chefs, activities and life to our community. But, as a Brunswick County resident myself, I am ecstatic to welcome Seaview Crab Company and partnered Port City Produce roadside stand. 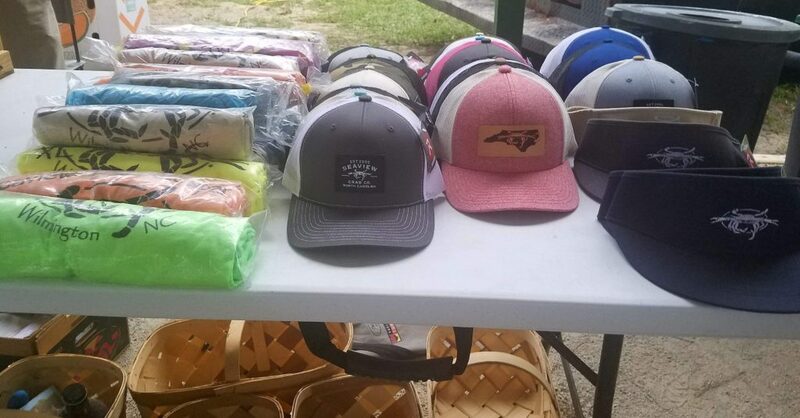 They are located at the Belville Riverwalk, off of River Road in Leland. They carry some of North Carolina’s best seafood and produce. How do you find these two foodie gems? When you enter the park, you will see a welcoming roadside stand. 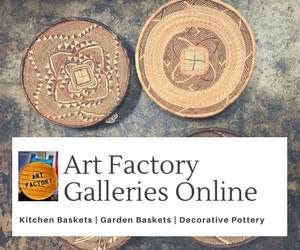 The staff is very friendly and knowledgeable about all the products offered. They are more than willing to offer tips on different methods of cooking fish, and happily suggest food pairings. Now you may ask yourself, do I want to use an outdoor seafood stand? This is not a temporary location. 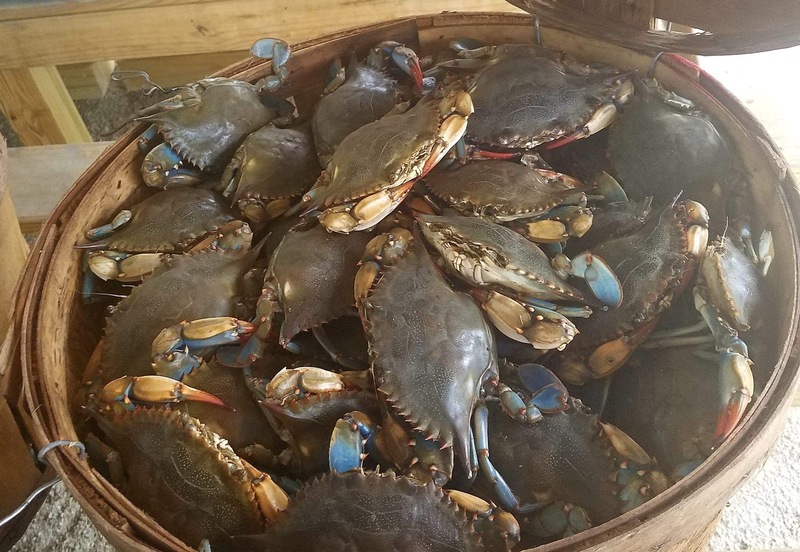 Seaview Crab Company has five open air markets, with two located in New Hanover County, one in Brunswick County, and two inland. 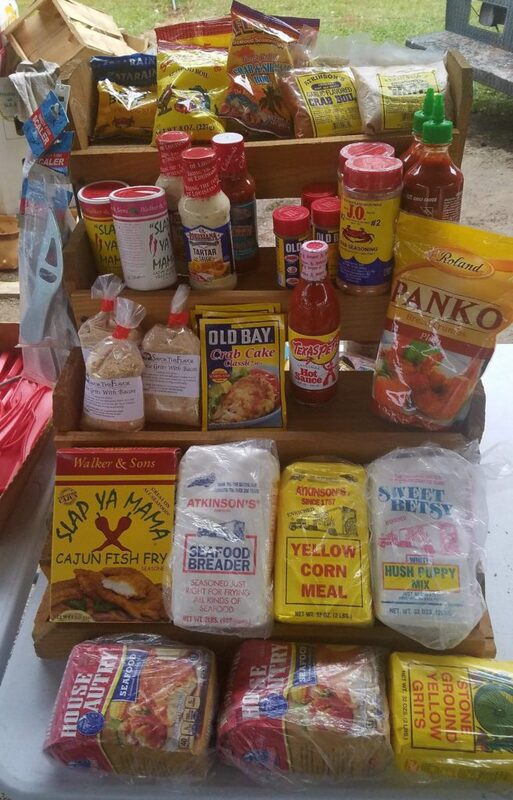 Seaview Crab Company was originally established in 2006, selling blue crabs as a road side stand. They expanded in 2011 with their original brick and mortar seafood market located in Wilmington on Carolina Beach Road, then added a second brick and mortar location on Marstellar Road, Wilmington. The seafood and produce options offered at Seaview Crab Company are endless. 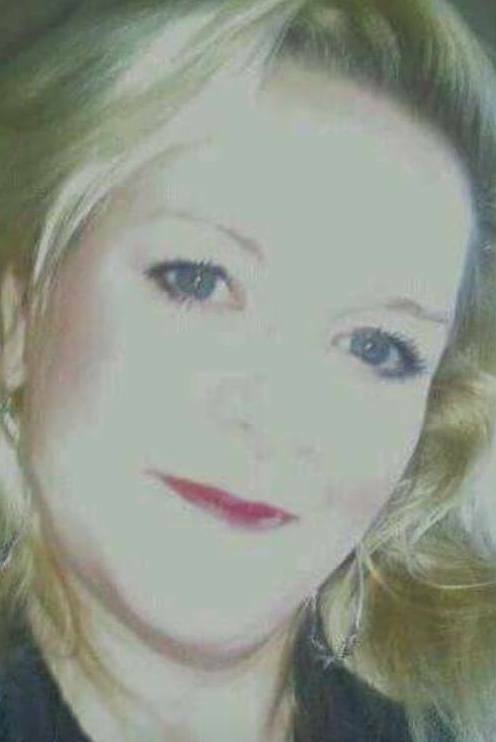 It’s hard to know where to begin. 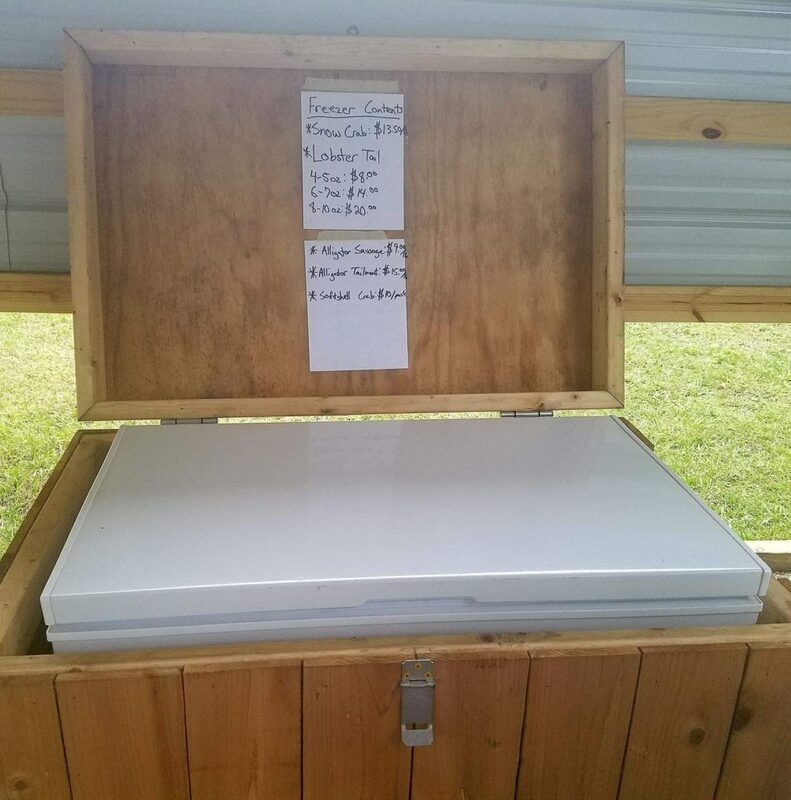 The outdoor road stand in Belville offers a variety of 10-15 local warm and cold-water fish, freshly filleted, packed, and sealed. 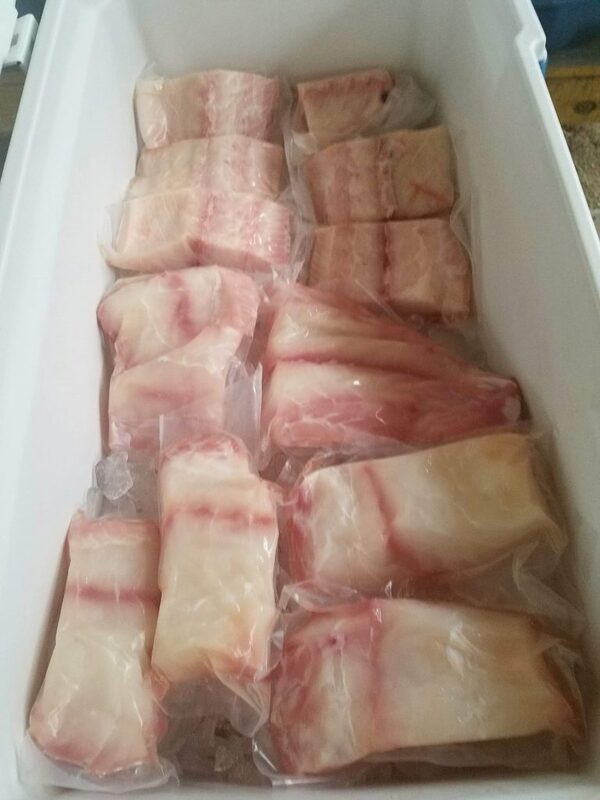 Some of the options are grouper, flounder, yellow fin tuna, cobia, trigger, and sword fish. Would you prefer to buy a whole fish to feed a larger group? You bet! They carry red drum, spots, flounder, snapper. Mark Anderson, market manager, will be more than happy to take your order, and have it cleaned and filleted for you. 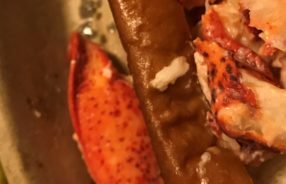 As well as fish options, there is a quality selection of scallops, alligator sausage, lobster tail, and soft shell crab at Seaview Crab Company. These are offered when in season and subject to availability. 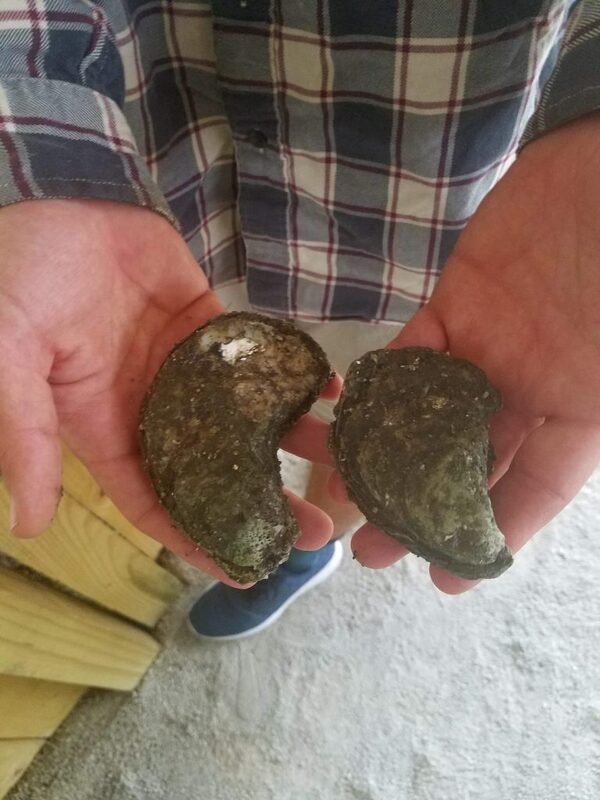 Now that the cold weather and holidays are here, we are ready for oysters. Don’t worry, they have you covered. Seaview is offering a variety of single and cluster options. 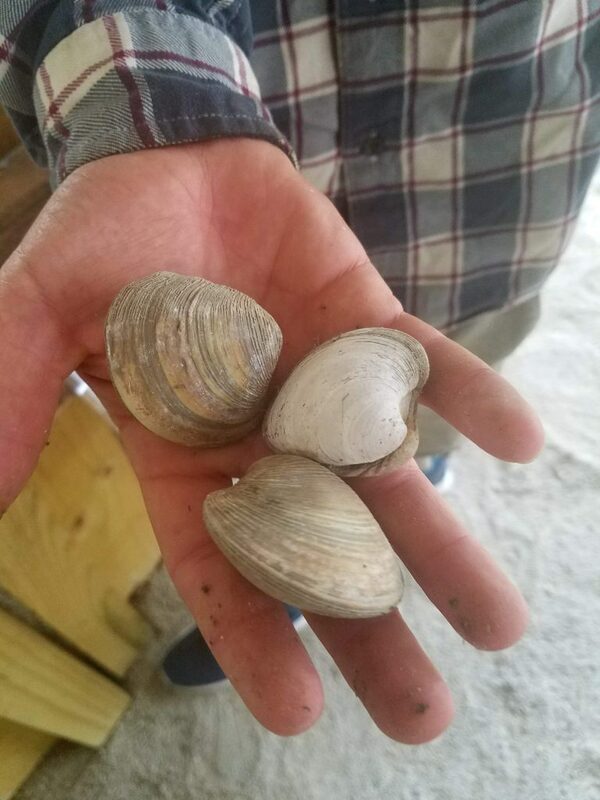 The list consists of salty Stump Sounds, Rocky Sound, Pamlico, and a variety of oysters from our neighboring state of Virginia. Now what about our finest North Carolina local shrimp? 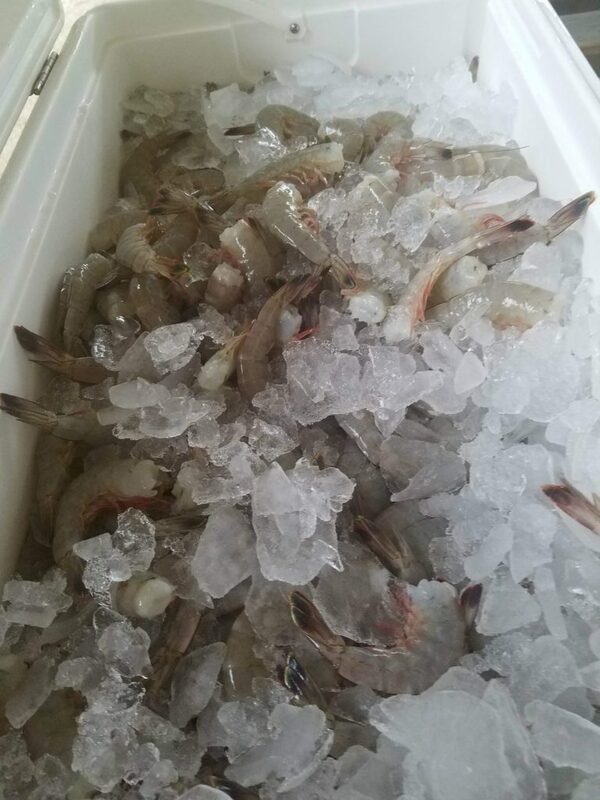 They offer up three different grades, head on and head off, medium to jumbo shrimp, all North Carolina wild caught. On to one of my personal favorites, the blue crab. When it comes to eating blue crabs, you are talking your way into this girl’s heart. 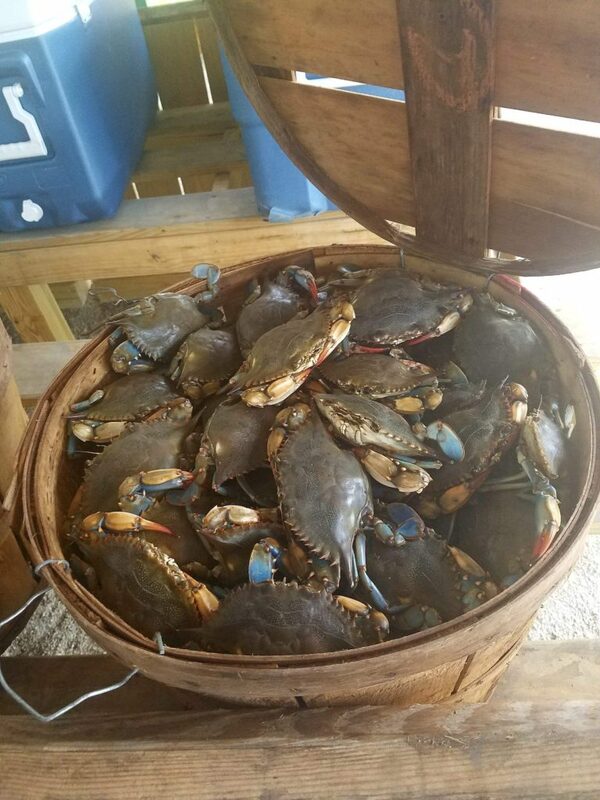 The blue crab’s hearty texture, with a mild salt and buttery taste, brings back memories of sitting on the back porch with my dad and picking away at every piece of meat we can get out of the shell, sharing life stories, and listening to music. Sorry, I didn’t mean to get all nostalgic on you, but who doesn’t love a good social crab picking feast? Once again, Seaview has you covered with their notable blue crab options. They offer up #1 Jimmies (your large male crabs), and a mixed grade which consist of female and male mediums. 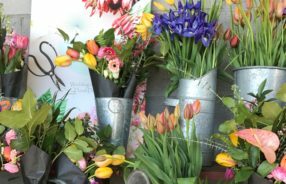 You can purchase as little as 1 or 2 dozen, up to a half- and full-bushel. All their crabs are caught anywhere from Masonboro up to Sneads Ferry. Seaview always makes sure they keep it local. I don’t want to forget about the very important “other half” of this mini outdoor marketplace haven: the produce side. Anderson talks about the importance of bringing this simple seafood and produce market into Brunswick County. With the county booming, there are more and more people who are wanting healthier and fresher food options. Fresher produce means more nutritious choices, and the Seaview crew feels these options are important to bring into the Brunswick community. 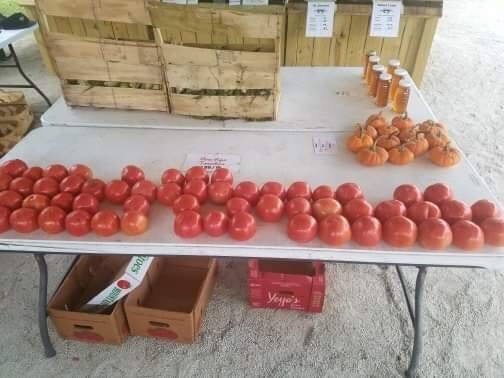 Some of Seaview Crab Company’s finest produce includes fresh tomatoes, peaches, cucumbers, onions, potatoes, zucchini, apples, cantaloupe, and corn. 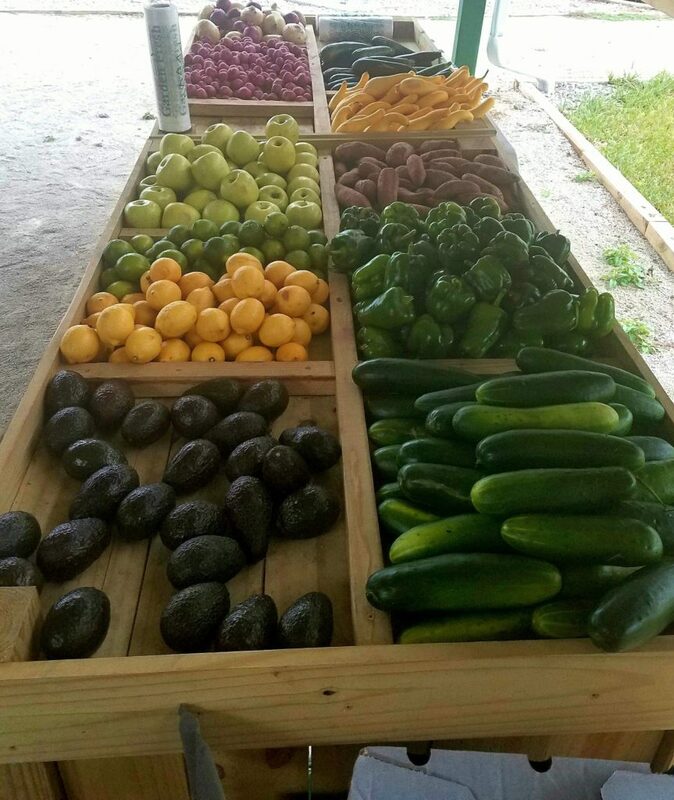 Mind you, they try to buy local as much as possible but work with multiple farms throughout the states so that they can offer fresh produce when it may not be in season for North Carolina shoppers. 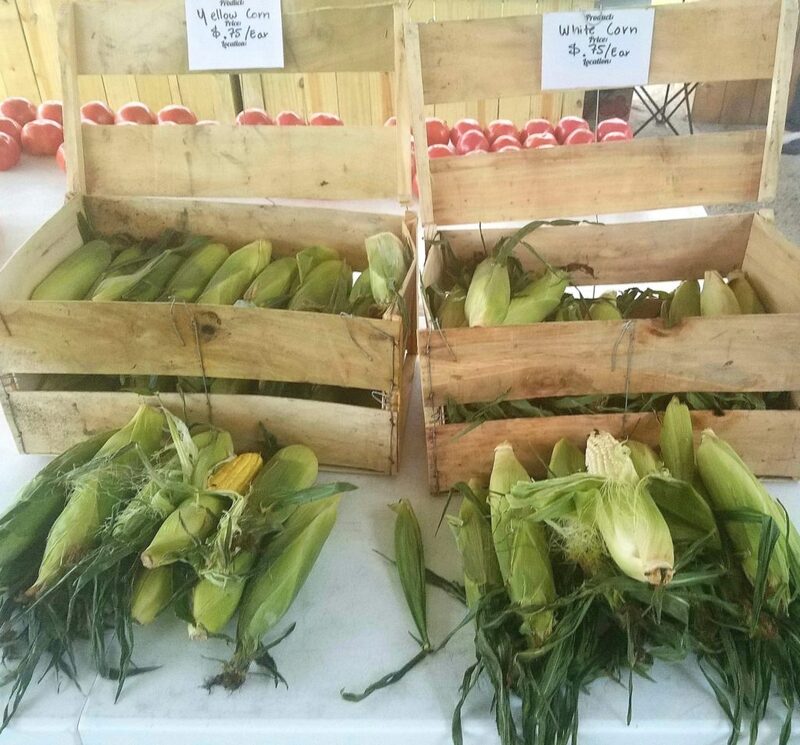 Anderson also works with local vendors that bring in fresh eggs, honey and pickled items when available. This upcoming year, Mark has new ideas that he will incorporate into the market. 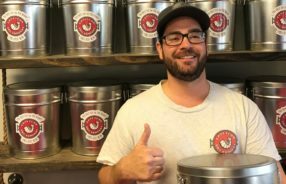 He hopes to offer an oyster taste test that encourages shoppers try the different varieties, as well as cooked samples of their fish and produce. What better way to have a chance to test your palate and find the right oyster or fish to your liking? 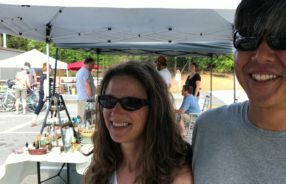 During the spring and summer, you will also find Wilmington local Noni Bacca Winery, with a tent offering wine tastings and bottles for purchase. 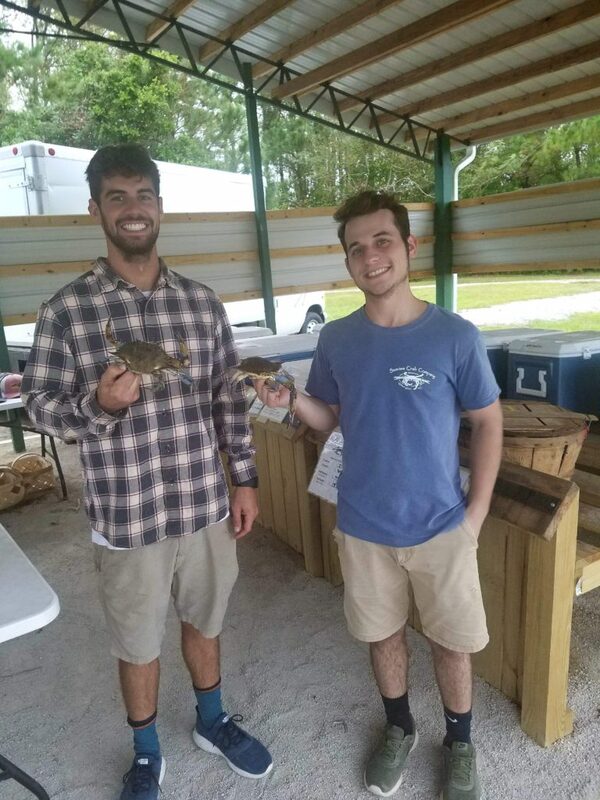 Next time when you are looking to put together a healthy meal of fresh foods with local offerings, make sure to stop by and support local business Seaview Crab Company. 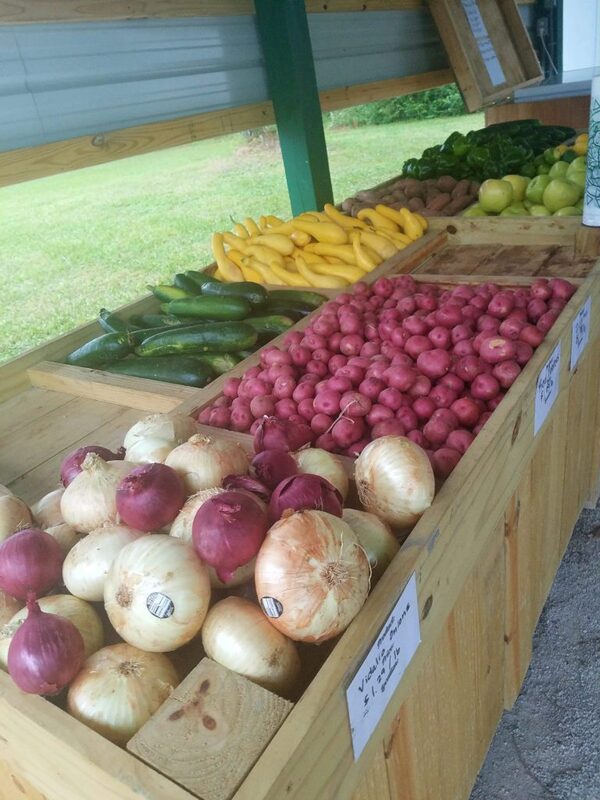 Check out the great selection that this bountiful seafood and produce stand has to offer. This could become your one-stop foodie shop. Belville’s Seaview Crab Company stand is open 11 months a year, excluding only the month of January. Hours of operation are Thursday 2-6, Friday 11-6, and Saturday and Sunday from 11-4. 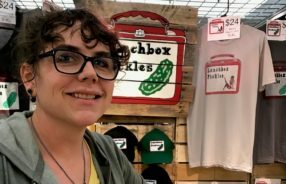 Contributing blogger: Sarah Koob is a foodie, home cook, and lover of seafood, Bloody Marys, and is always up for any kind of food adventure. 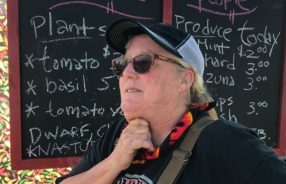 in "farmers markets, interview, interviews, markets"
in "carolina beach nc, interview, interviews, seafood"
in "artisan, farmers market, food"